Rafael Silva graduated from Freed-Hardeman University and from West Virginia University with Bachelor of Science degrees in Physics and Industrial Engineering, respectively. With more than 16+ years operational and managerial experience in industrial engineering, quality, manufacturing, logistics and distribution, Mr. Rafael Silva has received high recognitions in the areas of Total Quality and Logistics in both the United States and Latin America. His efforts have lead the companies he represented to become, in record time, pioneers in the implementation of quality systems such as ISO 9000 y QS 9000. Additionally, his focus on improving processes in the supply chain industry and his applied experience in various LMS/WFM program implementation projects, as well as his experience in the development of labor standards using predetermined times methodologies and advanced technology, have lead to significant improvements in operations as well as in the identification of “keys-to-success practices” thus generating significant costs optimization and improved profitability for the companies he represented. Furthermore, the effective solutions provided by Mr. Silva in the areas of Work Measurement/Change Management and Labor Standards/LMS Implementations have been satisfactorily upheld by Union Organizations in the state of Indiana, USA. Mr. Rafael Silva has successfully held the positions of Industrial Engineer, Director of Logistics and General Manager in both North and South America. 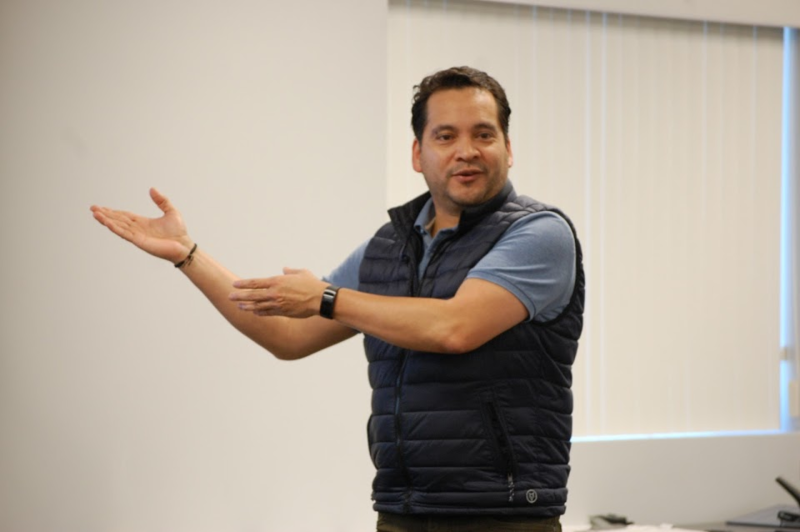 Mr. Silva currently resides in Chicago, IL where he leads Divergence, an Engineering and Technology Consulting Firm focusing on Labor Management Programs.